Amber Wutich is a professor of Anthropology and director of the Center for Global Health in ASUs School of Human Evolution and Social Change. Wutich received her PhD from the University of Florida in Cultural Anthropology with a specialization in Tropical Conservation and Development. Her research examines inequitable environmental institutions and global health disparities, with an emphasis on water insecurity. She directs the Global Ethnohydrology Study, a multi-year cultural-cultural study of water knowledge and institutions conducted in 10 countries. 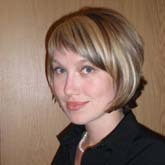 As a methodologist, she co-edits the journal Field Methods and co-authored the book Analyzing Qualitative Data: Systematic Approaches (2016, SAGE). Wutich teaches ethnographic field methods and text analysis as part of the National Science Foundations programs in research methods in cultural anthropology. She teaches in ASUs degree programs in Global Health, Environmental Social Sciences, and Cultural Anthropology. Wutich's teaching has been recognized with awards such as the Carnegie CASE Arizona Professor of the Year Award and ASU's Faculty Achievement Award for Excellence in Classroom Performance. Sullivan, A., D. D. White, K. L. Larson and A. Y. Wutich. 2017. Towards water sensitive cities in the Colorado River Basin: A comparative historical analysis to inform future urban water sustainability transitions. Sustainability 9(5):761. DOI: 10.3390/su9050761. Rice, J., A. Y. Wutich, D. D. White and P. K. Westerhoff. 2016. Comparing actual de facto wastewater reuse and its public acceptability: A three city case study. Sustainable Cities and Society 27:467-474. DOI: http://dx.doi.org/10.1016/j.scs.2016.06.007. Wutich, A. Y., M. Beresford and C. Carvajal. 2016. Can Informal Water Vendors Deliver on the Promise of A Human Right to Water? Results From Cochabamba, Bolivia. World Development 79:14-24. DOI: 10.1016/j.worlddev.2015.10.043. Wutich, A. Y. 2012. Water insecurity, emotional distress, and mental illness: Implications for human development & capabilities. Maitreyee: Bulletin of the Human Development and Capability Association 23:14-16. Jewell, B. and A. Y. Wutich. 2011. Charitable Christians, punitive neighbors: Religiosity and economic norms in a water scarce environment. Research in Economic Anthropology 31(October):. Wutich, A. Y. and C. Gravlee. 2010. Water decision-makers in a desert city: Text analysis and environmental social science. Pp. 188-211 In: Vaccaro, I., J. A. Smith and S. Aswani eds., Environmental Social Sciences: Methods and Research Design. Cambridge University Press. DeMyers, C., A. Y. Wutich and D. D. White. 2017. Bringing Stakeholder Analysis into Research on Sustainability Transitions: Stakeholder Dynamics and Transformational Water Solutions in the Colorado River Basin. Poster presented at the 2017 DCDC Poster Symposium, April 24, 2017, Tempe, AZ. Palta, M. M., M. du Bray, R. Stotts, A. Y. Wutich and A. Wolf. 2016. Urban "accidental" wetlands mediate water quality and heat exposure for homeless populations in a desert city. Poster presented at the 18th Annual CAP LTER All Scientists Meeting and Poster Symposium, January 15, 2016, Scottsdale, AZ. Palta, M. M., M. du Bray, R. Stotts, A. Y. Wutich and A. Wolf. 2016. Urban "accidental" wetlands mediate water quality and heat exposure for homeless populations in a desert city. Poster presented at the Central Arizona-Phoenix Long-Term Ecological Research Eighteenth Annual All Scientists Meeting and Poster Symposium, 15 January 2016, Skysong, Scottsdale, AZ. Palta, M. M., M. du Bray, R. Stotts, A. Y. Wutich and A. Wolf. 2015. Urban "accidental" wetlands mediate water quality and heat exposure for homeless populations in a desert city. Poster presented at the American Geophysical Union, December 14-18, 2015, San Francisco, CA. Rice, J., A. Wutich and P. Westerhoff. 2014. GIS-based models and perceptions of de facto wastewater reuse. Poster presented at the Decision Center for a Desert City Annual Poster Symposium, April 28, 2014 , Arizona State University, Tempe, AZ. Rice, J., A. Wutich and P. Westerhoff. 2014. GIS-based models and perceptions of de facto wastewater reuse. Poster presented at the AAAS 2014 Annual Meeting, Meeting Global Challenges: Discovery and Innovation, February 13-17, 2014, Chicago, IL. White, D. D., A. Y. Wutich, K. L. Larson, P. Gober, T. Lant and C. M. Senneville. 2010. How do we better link knowledge and action for environmental decision making?. Poster presented February 21, 2010 at the 2010 American Association for the Advancement of Science (AAAS) Meeting, San Diego, CA. Cutts, B. B., T. A. Munoz-Erickson, K. J. Darby, M. W. Neff, E. K. Larson, B. Bolin and A. Y. Wutich. 2009. Ego network properties as a way to reveal conflict in collaboration's clothing. Poster presented at the August 17, 2009 Applications of Social Network Analysis, Zurich, Switzerland. Wutich, A. Y., B. Crona, M. Seetharam, P. Gober, P. K. Westerhoff, Z. Hasan and S. Avent. 2009. Ethnohydrology: A mixed method study of local water knowledge. Tempe, AZ. Poster presented at 11th Annual Central Arizona-Phoenix Long-Term Ecological Research (CAP LTER) Poster Symposium, Tempe, AZ. January 15, 2009. Bishop, A., M. M. Palta and A. Y. Wutich. 2013. Water insecurity and health in desert homeless populations. Presented March 22 at The Society for Applied Anthropology 73rd Annual Meeting, Natural Resource Distribution and Development in the 21st Century, March 19-23, 2013, Denver, CO.
Sivapalan, M., A. Y. Wutich and M. Konar. 2013. Socio-hydrology: Co-evolution and future of human-water resource systems. Co-discussants at the AAAS Annual Meeting, February 14-18, 2013, Boston, MA. Wutich, A. Y. 2013. Troubled Waters: 21st Century Challenges in the American West, Part I. Discussant on March 22 at The Society for Applied Anthropology 73rd Annual Meeting, Natural Resource Distribution and Development in the 21st Century, March 19-23, 2013, Denver, CO.
Aktipis, A., L. Cronk, D. D. White and A. Y. Wutich. 2011. Resource management and risk pooling: Exploring the viability of indigenous solutions for modern resource management problems. Presented March 13, 2011 at Resilience 2011–Resilience, Innovation, and Sustainability: Navigating the Complexities of Global Change, Second International Science and Policy Conference, Tempe, AZ. Wutich, A. Y. 2011. Ethnographic approaches to understanding social sustainability in small-scale water systems. American Geophysical Union Fall Meeting, December 5-9, 2011, San Francisco, CA. Cronk, L., A. Y. Wutich, A. Aktipis and H. Wasielewski. 2010. The circulation of cultural variants: Exploring the relationship between culture and behavior. Presented November 20, 2010 at the American Anthropological Association 109th Annual Meeting, New Orleans, LA. White, D. D., K. L. Larson, P. Gober, S. L. Harlan and A. Y. Wutich. 2010. Divergent perspectives on water resource sustainability in a public–policy–science context: A tripartite conceptual model of human-ecological judgments. Presented June 7, 2010 at ISSRM 2010, the 16th International Symposium on Society and Resource Management, Corpus Christi, Texas. Cutts, B. B., K. Darby, E. K. Larson, T. A. Munoz-Erickson, M. W. Neff, B. Bolin and A. Y. Wutich. 2008. Social networks, environmental governance and science in the Big Chino Water Project: An interdisciplinary research project of the IGERT in Urban Ecology Program. Presentation April 30 at the Center for the Study of Institutional Diversity, Arizona State University, Tempe, AZ. Larson, E. K., B. Bolin, B. B. Cutts, K. Darby, T. A. Munoz-Erickson, M. W. Neff and A. Y. Wutich. 2008. The challenging task of water resources partnership building: Insights on network properties and outcomes from both whole and egocentric analyses. Presentation April 15-19 at the annual meeting of the Association of American Geographers Conference, Boston, MA. Neff, M. W., B. Bolin, B. B. Cutts, K. Darby, E. K. Larson, T. A. Munoz-Erickson and A. Y. Wutich. 2008. Does truth flow like water? The role of social networks in the flow of scientific understandings in a water management controversy. Presentation April 15, 2008 at the annual meeting of the Association of American Geographers, Boston, MA. Neff, M. W., B. B. Cutts, K. Darby, E. K. Larson, T. A. Munoz-Erickson, A. Y. Wutich and B. Bolin. 2008. Does truth flow like water? The role of social networks in the flow of scientific knowledge in an environmental governance dispute. Presentation August 23, 2008 at the Society for the Social Studies of Science / European Association for the Study of Science and Technology joint meeting, Rotterdam, The Netherlands. Wutich, A. Y. 2008. Anthropological approaches to studying climate science, policy, and perceptions in a desert city. Presented at the November 2008 American Anthropological Association 107th Annual Meeting, San Francisco, CA. Gartin, M. and A. Y. Wutich. 2007. The social dynamics of policymaker collaboration. Paper presented March 28, 2007 at the 67th Annual Meeting for The Society for Applied Anthropology, Tampa, FL. White, D. D., A. Y. Wutich, S. E. Ledlow and P. Gober. 2007. Credibility, saliency, and legitimacy of boundary objects for water resource decision making: Assessing stakeholder response to DCDC WaterSim. Paper presented at the June 17-21, 2007, 13th International Symposium on Society and Resource Management, Park City, UT. Wutich, A. Y., T. Lant, M. Gartin, D. D. White and K. L. Larson. 2007. Getting hard-to-get data: Are group interviews really better?. Paper presented at the November 29 - December 2, 2007 Annual Meeting of the American Anthropological Association, Washington, DC.